Name: Muagal (woman holding picture) has lost her son, Showket Ahmed Paul. 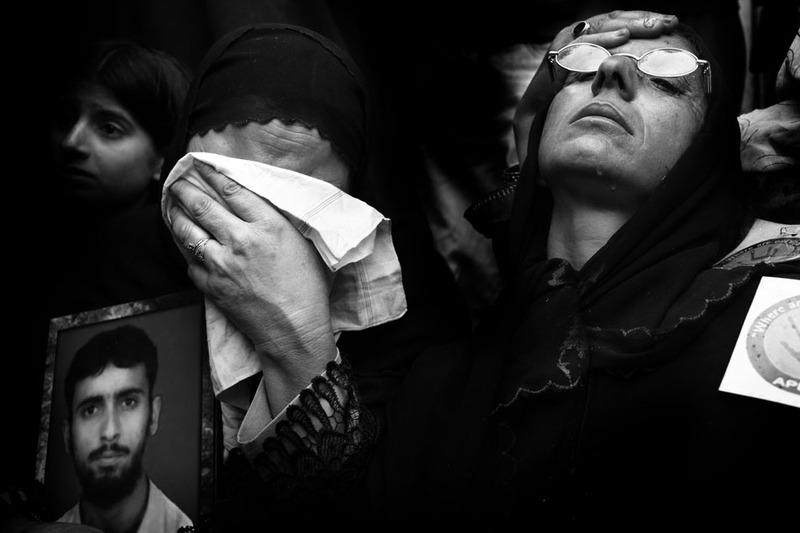 He was taken away by the police forces who suspected him of being a member of a Kashmirian resistance group. His mother protested and tried to set herself on fire, but the police was indifferent. It has been 5 years since he was arrested.